(W) 0.4cm x (D) 0.13cm Ring sizes H-Z, including half sizes. 1. Ring size comparison in diffe..
Fingerprint Ring - Sterling SilverHandmade and hand engraved with your finger print just for you.A b..
18ct White Gold Bespoke Fingerprint Ring 1. Ring size comparison in different c..
4mm wide band 1. Ring size comparison in different countries (Conversion Table) 2. How to me.. The silver band is 6mm wide The ring has a 1.5mm cognac coloured diamond. 1. Ring size compar.. Stunning fine silver and gold coral textured ring. It has a deepset coral texture with 24k gold fuse..
H: 2.2cm x W: 4.5cm x D: 0.23cm. 1. Ring size comparison in different countries (Conver.. 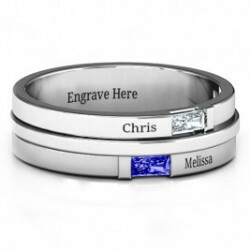 The Silver band is 5mm wide The ring has a 1mm Black Diamond. 1. Ring size comparison in diff.. The ring made from is 2 x 3mm silver flat bands 6mm in total 1. Ring size comparison in diffe..
0.65cm wide. Whilst this ring is shown as in stock, all of our rings are sized and the diamonds expe.. The ring shank measures 8.9mm wide and 1.6mm thick. The diamond measures 1.7mm in diameter. 1..
5mm x 1.5mm rectangular profile 1. Ring size comparison in different countries (Conversion Ta.. Plain heavy 'D' section organic ring, 4mm wide, a beautiful and very comfortable ring for ev..